If you start to research INFINITI models, you’ll see plenty of appealing options. If you’re in the market for a luxury sedan, you won’t go wrong with the Q50. It’s not surprising why drivers in Mandeville, LA, are so excited about INFINITI Q50 lease offers. Not only is this vehicle comfortable and dependable, but there are aspects of leasing that surpass what auto loans can provide. It’s time for you to get to the dealership and test-drive this vehicle today and inquire about your leasing possibilities. As you budget and decide whether INFINITI Q50 lease offers make sense to you, it’s important to consider gas mileage. With high gas prices, you want to spend as little time as possible at the pump, watching your hard-earned money vanish. Fortunately, the Q50 has a huge 20-gallon tank, so every fill-up will take you far. In fact, you can drive 380 miles in the city and 540 miles on the highway before you’ll need to go to the gas station again. It gets 19 miles per gallon in stop-and-go traffic and 27 miles per gallon on the freeway and highway. You and your passengers will love everything about riding in the Q50. Whether you’re going from place to place in Mandeville, LA, or whether you’re on a road trip, this sedan will make the outing enjoyable. It has climate control and interior air filtration, not to mention storage compartments and pockets. It has keyless ignition and cruise control as well. You’ll like the electric power steering and the tilt and telescopic steering wheel. The rearview camera will make your job easier. You’ll fall in love with INFINITI Q50 lease offers—so much that you’ll want to drive a new model all the time. Once your lease expires, you can lease another Q50 and continue to do so over and over. That’s one of the beauties of leasing. You never have to worry about paying for major repairs or driving an unreliable vehicle. As if the features weren’t attractive enough, wait until you get the monthly bill. You’ll pay less for a lease than you would for a loan. Also, instead of paying for oil changes in Mandeville, LA, the dealer may give you special offers to handle these services at the dealership. 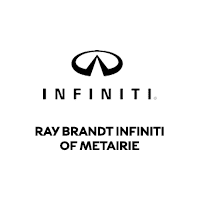 By now, you should be ready to head to Ray Brandt INFINITI to shop for INFINITI Q50 lease offers. Bring home a new car to Mandeville, LA, today.